Christmas is right around the corner, and while it seems the days of the Red Ryder BB gun have long passed us, there are quite a number of you that have (or Santa is going to bring) a new toy…a drone. While you’re new toy is charging, let’s walk through some of the safety (and regulatory) issues that you may not be aware of…before you take to the skies. Before you do anything else, point your browser to the FAA’s website for Unmanned Air Systems (UAS) Registration. 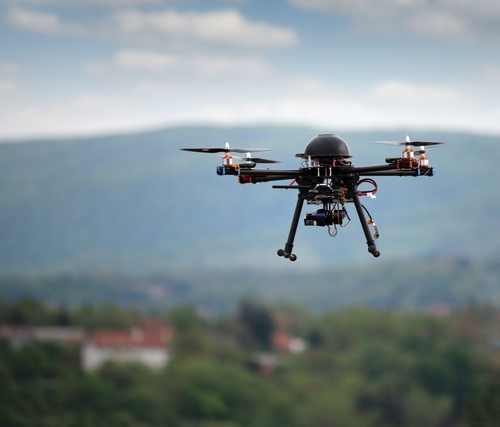 A new federal law effective December 21st, 2015, requires that you register that drone. If you’re already a seasoned drone pilot, you can continue to fly your drone, but must register no later than February 19th, 2016. Luckily, the FAA is refunding the $5 registration fee for those of you who can get the registration done by January 20th, 2016. 2. Thou shalt fly your drone below 400 feet. Once you get above 400 feet, there are some different rules that apply. 3. Thou shalt always fly within the visual line of sight. Line of sight helps you continue to control the drone adequately, and requires you to be aware of the drone’s surroundings. 4. Thou shalt maintain awareness of the FAA airspace requirements. No one’s second guessing your piloting skills here, Maverick. However, a guaranteed way to have a bad day is to have your new drone come down on someone (inadvertently, of course). Related to #4 above, but it also tends to make law enforcement a bit suspicious. Best to just use the binoculars or pay for the ticket. Seriously though, the whole reason you got a drone is so that you enjoy the experience without the hassle of the airport. Rule of thumb here, don’t waste your time trying to get clearance here unless you have a really legitimate reason. Also related to #4. Many public safety agencies are beginning to use drones as a tool for scenes, and multiple flying objects increases the risk of mid-air collisions. Related to #7 above. No reason to mix drone parts in with the snow this year. This is a good way to make sure your drone meets a fiery death going into some electric, lines, or worse, in pieces going through a neighbor’s window. It’s best not to mix your holiday cheer and your piloting skills. There are a number of other resources for aspiring drone pilots, including a Drone Flight Simulator, and even a drone flight school. By now your drone’s ready to go, so blue skies, and watch your fingers!